This is what it looks like with the formatting. 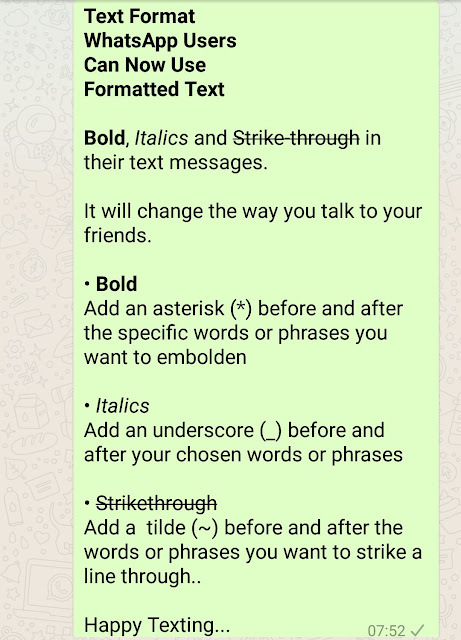 *Bold*, _Italics_ and ~Strike-through~ in their text messages. It will change the way you talk to your friends. Add a tilde (~) before and after the words or phrases you want to strike a line through..